This pendant reminds me of ocean swirls rolling in on a beautiful day. The briolette is green florite and the small emerald crystals are Swarovski crystal. 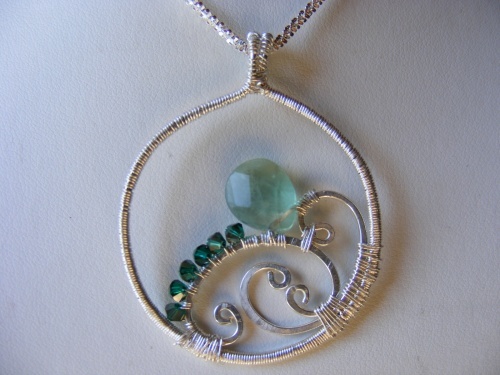 Entire piece is made from scrath and wrapped elegantly with sterling silver. Piece measures an 1 1/2 in length and comes with an 18" chain.